The Fujifilm X-T3 required a new thumb grip since the camera changed ever so slightly from the Fujifilm X-T2/X-T1. The new grip is not compatible with the old camera design so do not try to use it on the X-T2/X-T1. The adapter is only available in Black at this time since Lensmate had trouble matching Fujifilm’s new silver. The adapter is available at Amazon at this time. Note the X-T3 thumbrest will not fit the X-T2, see our other listing on Amazon. No-compromise design specifically for the Fujifilm X-T3 with ideal length and curve geometry. Makes one handed operation easier and retains access to all controls while preventing unintentional button presses. Integrated silicone insert provides thumb grip and bumper between camera body and thumb grip. Hidden silicone insert in hot shoe tab provides resistance to unintentional ejection. 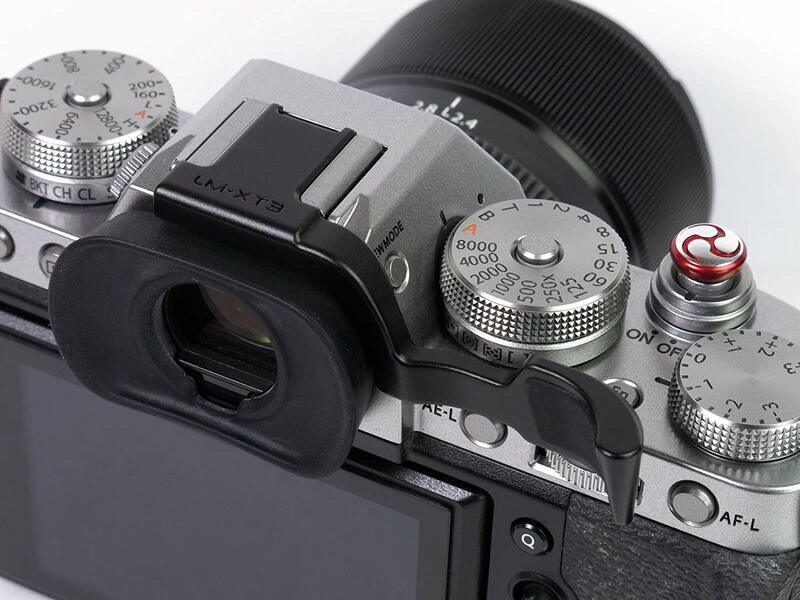 Since the X-T3 has a threaded shutter release all our custom soft release buttons will fit. See our other listings. This entry was posted in Accessories, Fujifilm X-T3 and tagged Fuji Rumors, Fuji X-T3, Fuji XT3, Fujifilm, Fujifilm Rumors, Fujifilm X-T3, Fujifilm XT3, FujifilmRumors, Fujirumors, Lensmate, Lensmate Thumb Grip, X-T3, XT3. Bookmark the permalink. Trackbacks are closed, but you can post a comment.